I don't have possitive identification on this one. The flowers are yellow. 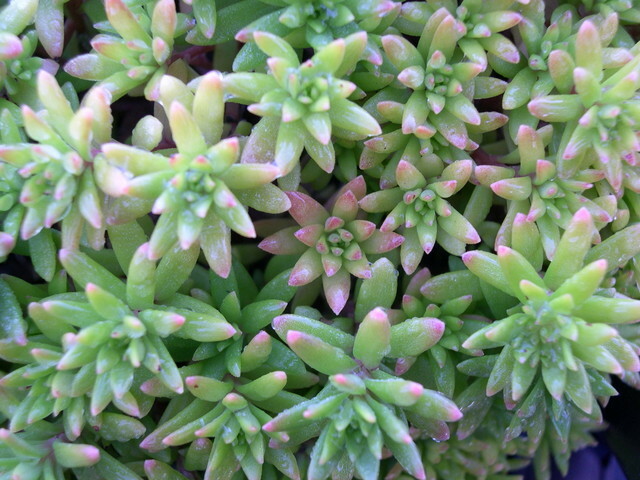 It appears, when viewing the blooming photo at hi-res, that the carpels are fused.Check it out by adjusting the size button to the right of the text next to the Sedum affin tricarpum (1) photo.